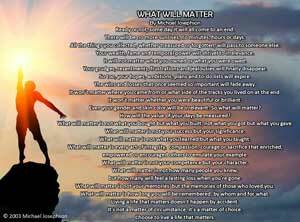 Living a Life That Matters QUOTE & POSTER: Take Memorial Day seriously. The people who sacrificed for us did. Please take a moment to experience and express gratitude to those who have and are serving their country. QUOTE & POSTER: Take Memorial Day seriously. The people who sacrificed for us did. Please take a moment to experience and express gratitude to those who have and are serving their country.